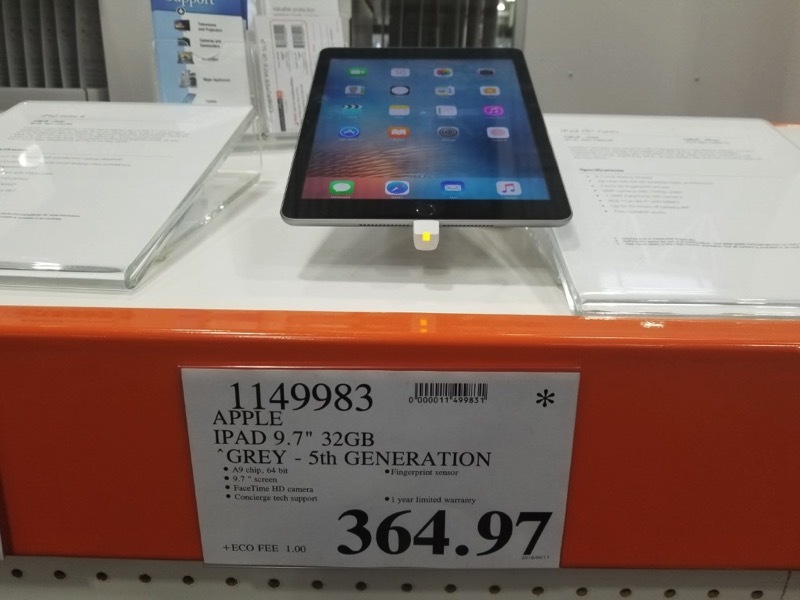 For those seeking out a new fifth generation 9.7-inch iPad, these models from last year are on clearance right now at Costco retail stores out west, priced at $364.97 for the 32GB Wi-Fi model. If you absolutely need Apple Pencil support and the newest A10 Fusion chip, the latest sixth generation 9.7-inch iPad is only $64 more. But if you’re looking to purely get the cheapest iPad possible, $364.97 is not bad, but not as cheap as a refurbished models from Apple.ca for $319 (not in stock). Why buy from Costco? For starters, if you’re unsure about whether you need an iPad or not, Costco has a 90 day return policy for electronics, versus 14 days at other retailers. Again, your mileage may vary given this is a clearance price at local warehouses in BC, Alberta, Saskatchewan and Manitoba, available until April 22 (or until stocks run out). Update: Some Costco locations in Quebec are selling this for $349.97 (thanks Vincent).